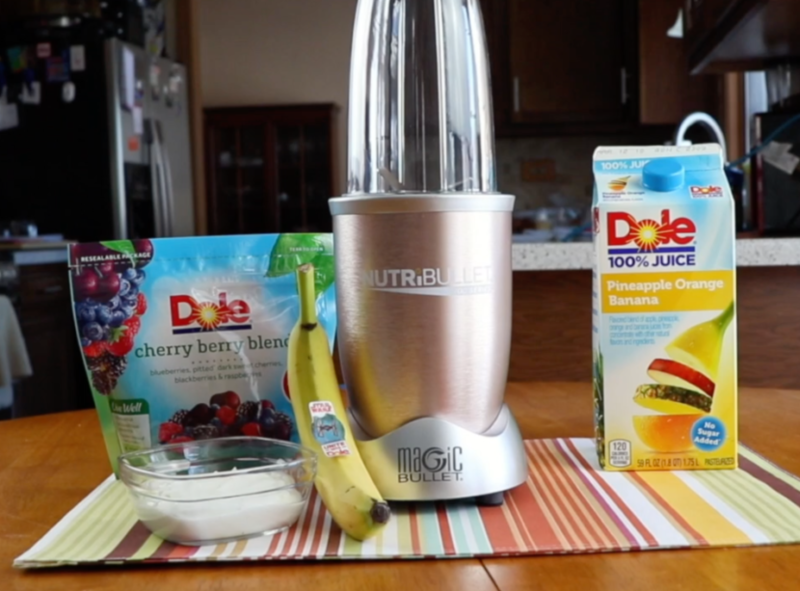 Add all ingredients to the Nutri-Bullet cup in the order listed in recipe. Twist the extractor blade onto the Nutri-Bullet cup, be sure the blade is tight, so it has a good seal. When finished blending remove cup and pour into 2 glasses. Garnish with a slice of orange and don’t forget your straw! 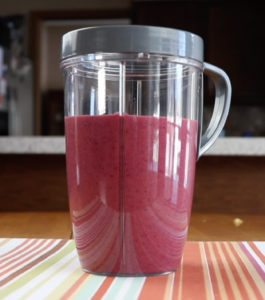 Tip: try putting your glasses into the freezer 1 hour before, so you have an ice-cold smoothie!